Philadelphia cornea specialist Dr. James Lewis is proud to offer advanced dry eye treatment, including Lipiflow, at his state-of-the-art practice in Elkins Park, PA. Schedule your consultation and take the first step toward visual freedom by contacting us today at 215-886-9090. 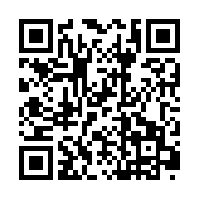 Use this QR Code with your mobile device to launch Google Maps and get directions sent to your phone.